Have you read the ingredient list on the back of your skin care products lately? From sodium lauryl sulfate to parabens, many skin care products are filled with harmful chemicals that could cause anything from minor skin irritation to cancer. Thankfully, today’s consumer is becoming more and more aware of how harmful these ingredients can be. Some of us go by the “If I can’t pronounce it, it’s gotta be bad!” rule, but there are some unique ingredients that can actually be very beneficial to the skin. Even plain old water, or H2O, is technically a chemical, and there are lots of other natural ingredients that have some surprising benefits. So, how do you know which ingredients are good and which ones aren’t? Here are some unique ingredients found in skin care products and their benefits. Acid just sounds scary, doesn’t it? But, the truth is, hyaluronic acid is a natural substance that is vital for radiant and youthful skin. It can actually attract moisture from the air and hold it into your skin. The added hydration offered by this ingredient diminishes the appearance of fine lines and makes the skin look more supple, softer, and smoother. Try to find this highly beneficial ingredient in everything from facial cleansers to serums and moisturizers. Sodium hyaluronate is one of those chemical-sounding ingredients that you might run from if you didn’t know what it was. However, this is one ingredient you want to find on your ingredient label! It’s a close relative of hyaluronic acid, which means it can help bind moisture to the skin. It’s great for keeping skin supple, minimizing fine lines, and providing lightweight, fast-absorbing moisture. Look for this anti-aging ingredient in products like cleansers, serums, and moisturizers. Melaleuca, or tea tree oil, is a natural skin care ingredient with a funny sounding name, but it offers some incredible benefits for skin that’s prone to breakouts. For those with acne prone skin, this essential oil offers antibacterial and anti-inflammatory properties. It’s a great natural alternative to harsh topical medications, but it should be used in small concentrations to avoid irritation. You can find it in cleansers, acne treatment products, and sometimes even mouthwash or toothpaste. Why would you want to put sulfur on your skin? Well, it’s actually one of the most proven acne fighters out there. And, don’t worry… you won’t smell it in your skincare! This mineral is naturally occurring and offers gentle exfoliation to clear out pores without harsh scrubbing. It also provides antibacterial benefits. It can be a little drying to the skin, so be sure to follow it up with something hydrating. Sulfur is often found as an active ingredient in acne treatment products, moisturizers, and shampoos. You just can’t go wrong with a natural ingredient that gently exfoliates the skin and increases cell turnover. That means salicylic acid is an ingredient to look for if you want to clear up blemishes and for those looking for anti-aging benefits. Salicylic acid tends to be a bit gentler than other acids, too. It’s commonly used in facial cleansers, moisturizers, and acne treatment products. Shea butter has been used for centuries to provide deep moisturization and give the skin a radiant, youthful glow. It stimulates collagen production and is often used in combination with exfoliators because it soothes away redness and irritation. In its unrefined form, shea butter has healing properties that can be beneficial to those suffering from skin infections, eczema, and even psoriasis. 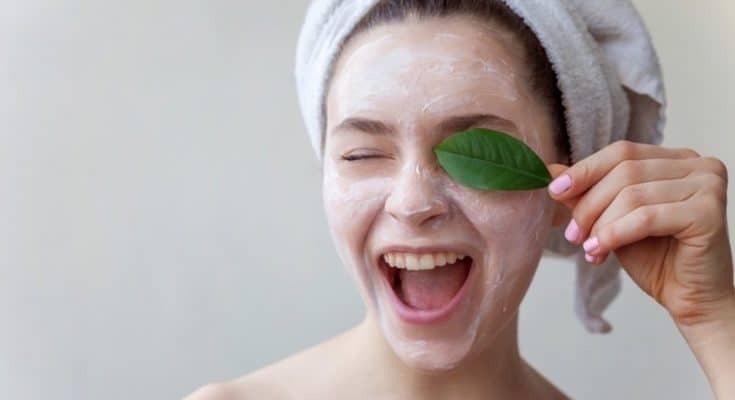 It’s commonly added to products intended to soothe and calm, including cleansers, moisturizers, lotions, and treatments. Glycerin can be made synthetically, but it is also found in natural fats. It is a humectant, which means it combats dryness and provides the skin with a soft, supple appearance. Many skin care companies use glycerin in combination with other emollients for its moisture retaining abilities. Look for it in organic products such as cleansers, shaving creams, and moisturizers. Clay offers some incredible benefits to the skin. It can soothe irritation, ease itching, clear up and prevent acne, and even reduce the appearance of pores. It encourages cell turnover and exfoliates the skin without scrubbing. Several different types of clay are used in organic skin care. Some are beneficial to acne prone skin, while others are good for dry skin. Make sure you read the ingredient label carefully to ensure you choose the best product for your skin type. In the 10-step K-Beauty skincare routine by Peach & Lily, clay is frequently found in face masks meant to refine the pores and smooth the skin. Benzoic acid comes from berries, and there’s no need to avoid it in your skincare. It is used as a natural preservative, and it’s much safer than its artificial counterparts. It’s often used in all types of organic skin care, makeup, sunscreens, and even mouthwash to maintain product freshness. Alpha hydroxy acids are a group of synthetically or naturally occurring compounds that includes lactic, mandelic, citric, and glycolic acids. In skin care, these acids are used in low concentrations for controlling acne and providing gentle exfoliation. They are often used as an active ingredient in anti-aging products, peels, serums, toners, and moisturizers. Eucalyptus oil is one of those ingredients that sounds nice on organic skincare labels, but you wonder what it could really be doing for your skin. Surprisingly, this essential oil is a very effective anti-inflammatory and antiseptic with proven abilities to help heal wounds, burns, and even acne lesions. It also calms itching and is used to treat respiratory issues. You’ll find it in a wide variety of organic products meant to soothe, heal, and detoxify. Becoming more aware of harmful ingredients in our skin care and cosmetics is crucial for our good health. Sometimes it can be hard to figure out what is actually detrimental and what’s not. Next time you see one of these unique ingredients on a skincare label, you’ll know all about the wonderful benefits it can provide.